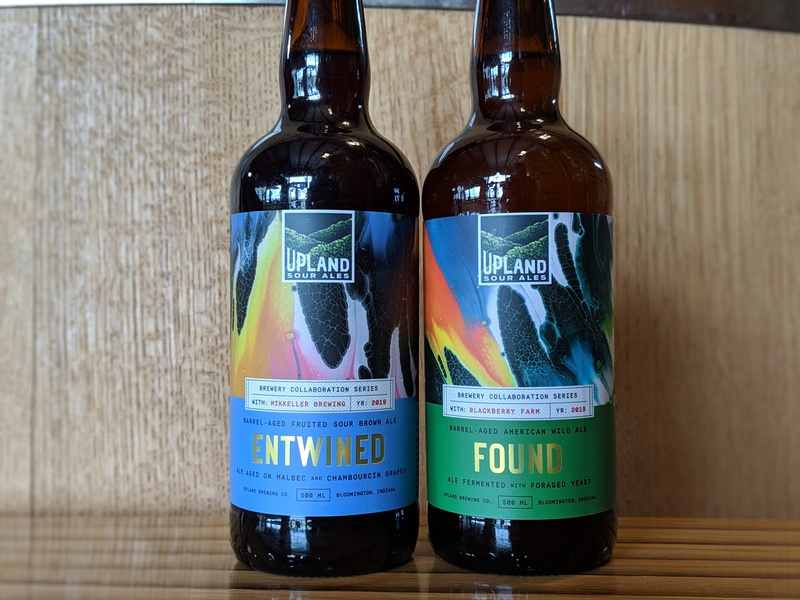 Bloomington Craft Beer Week 2019 - Upland Brewing Co. The best week of the year is finally here!!! Bloomington Craft Beer Week kicks off April 14th and concludes with the return of the Bloomington Craft Beer Fest on the 20th. To embrace our local beer community, we have a loaded lineup of awesome events going all week long! Check them out below and plan out your week of celebrating ASAP! SUNDAY 4/14: Start your week off right with Growler Fill Specials on any of our beers on tap at either Bloomington location. Growler fills at the West Side Beer Bar range from $6-$10 while fills at the Bloomington Brewpub vary from $8-$12 depending on the style. 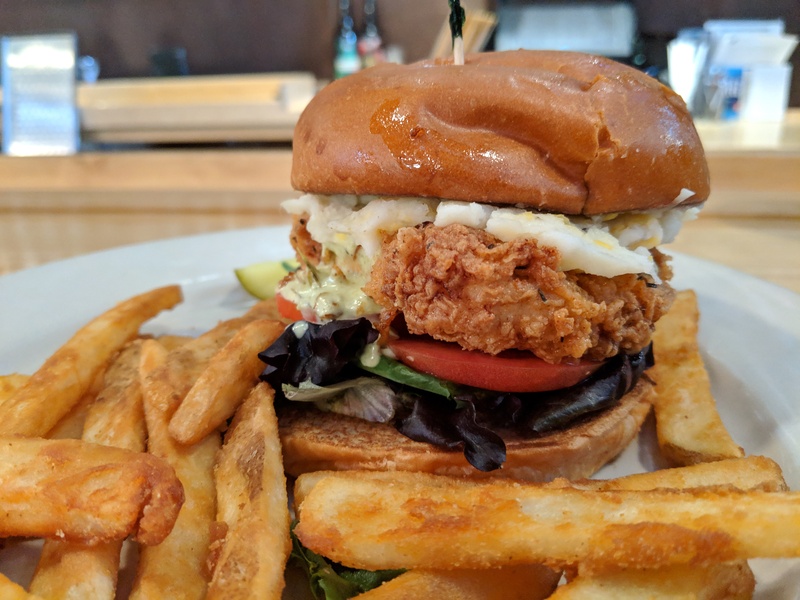 MONDAY 4/15: The best burger you’ll have all week! Our weekly Side Trail Burger returns with a classic Hoosier twist. Fried pork chop, roasted poblano gravy, and sweet corn mashed potatoes make for a delicious combo topped with lettuce and tomato. Available exclusively for Bloomington Craft Beer Week! TUESDAY 4/16: Entwined, our highly anticipated collab with Mikkeller Brewing, taps at 4pm for New Tapping Tuesday. This sour ale is a blend of a Sour Brown and Sour Quad aged in bourbon barrels, then on West Coast Malbec and Midwest Chambourcin grapes. This reddish brown fruited sour ale is malt forward with a dry & tart finish. Take home a bottle of Entwined for only $15! 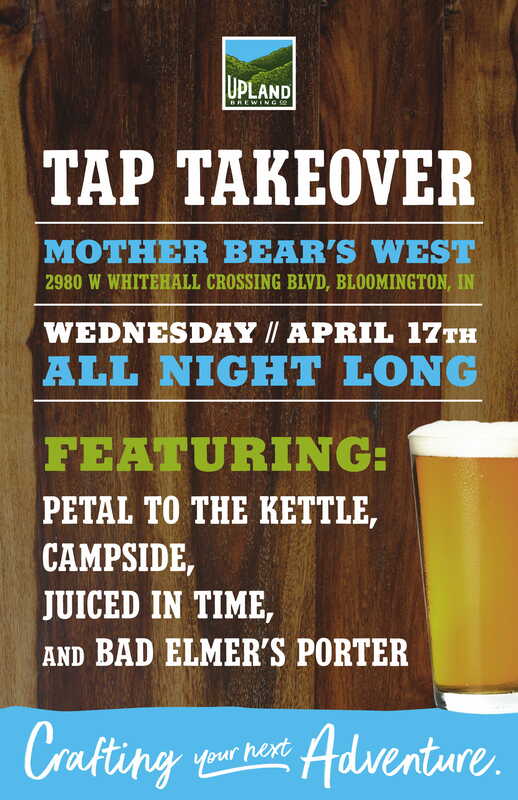 WEDNESDAY 4/17: Get some pizza and brews at our Mother Bear’s (West) Tap Takeover, because what’s a beer week without a pizza party?! Bloomington’s finest pies will be accompanied with a slate of Upland beers. Campside Pale Ale, Juiced in Time IPA, Petal to the Kettle Sour Ale, and Bad Elmer’s Porter will all be on tap for the evening. THURSDAY 4/18: You don’t want to miss our Barrel-Aged Takeover at The Wood Shop. 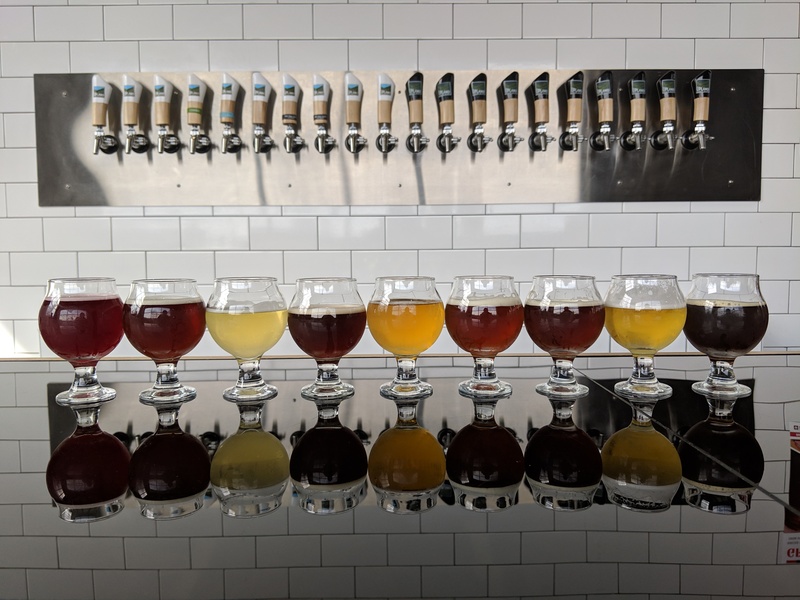 19 of our taps will feature a barrel-aged sour or beer, most of these you can’t get anywhere else and some of them will be making their debut! A 2016 Barleywine, Scotch Barrel Aged Wee Heavy, and brand new Oak Aged Sours are just some of the amazing beers that will be on tap. Brewer’s Reserve Barrel Chested Barleywine nuts and small bite plates will be available for purchase as well. In addition, we’re giving away two tickets to the Bloomington Craft Beer Fest for one lucky attendee! Just sign-up upon arrival and we’ll pick a winner at the end of the night. Don’t get FOMO for this, RSVP here! FRIDAY 4/19: Want to see how your favorite sour ales are made? Take one of our Wood Shop Tours at either 4:30 or 6pm. Our expert staff will guide you through the history, innovations, and ambitions of our sour brewing program. Your $10 tour includes 4 sour samples as well as the possibility to try some straight out of the tank! After your tour, enjoy any of the 20 beers and sours on tap. This is the perfect chance to learn all about sours before you try some at Saturday’s fest. Book your tour here! SATURDAY 4/20: The day you’ve been waiting for. 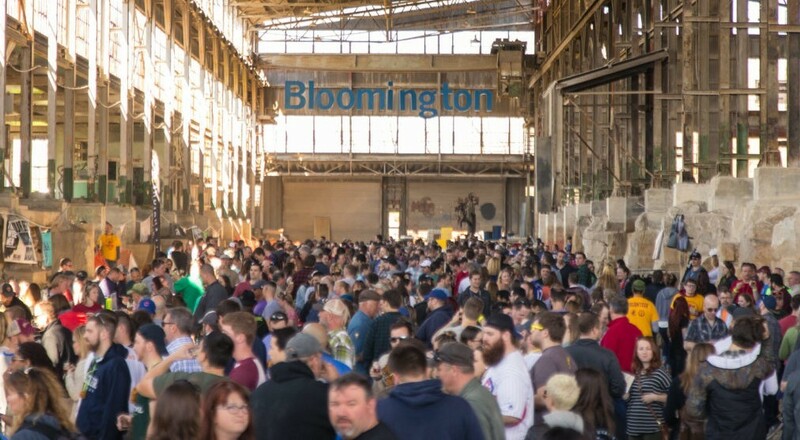 Bloomington Craft Beer Fest is back at the Old Woolery Mill and will feature over 40 Indiana breweries sampling their best! We’re bringing our Dragonfly IPA, Wheat Ale, Sound Bite IPA, Petal to the Kettle Sour Ale, and FreeTime Vienna Lager. Our New England Dragonfly IPA will debut at the cask ale tent, try it before it’s gone! Tickets are going fast, get yours here!